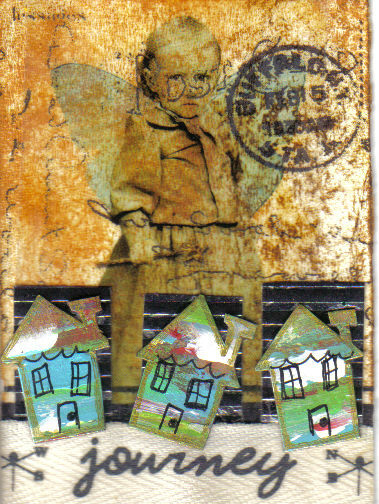 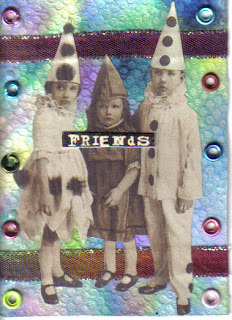 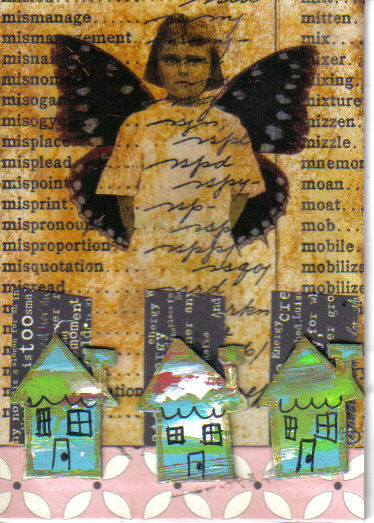 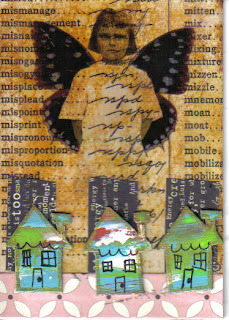 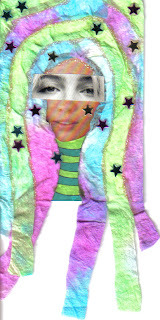 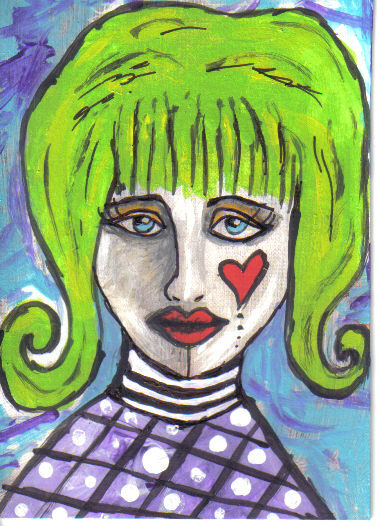 Collage and Gesso over Magazine image ATCs. 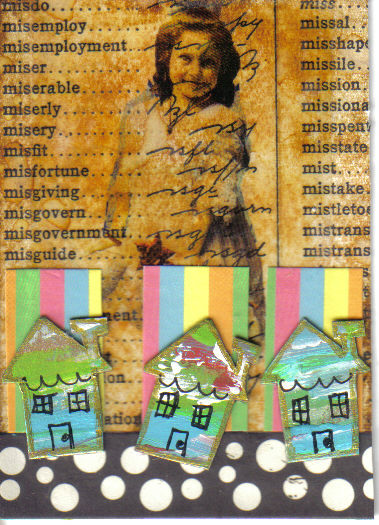 Top to Bottom: Houses I, Houses II, Houses III, My Stars ( her hair is pink with purple and black streaks), and One Heart. 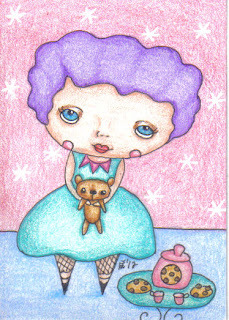 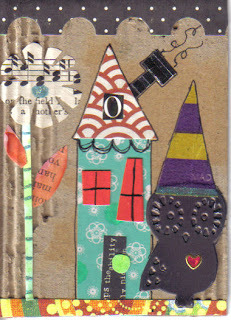 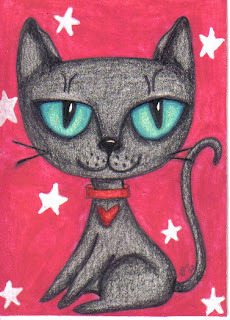 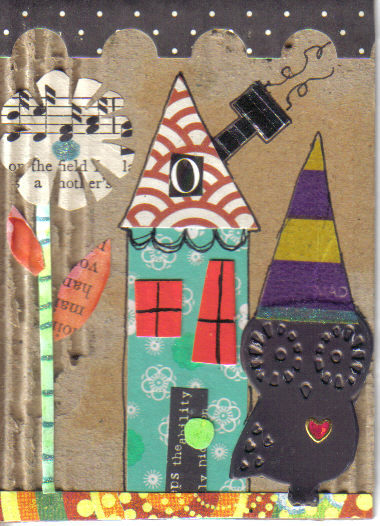 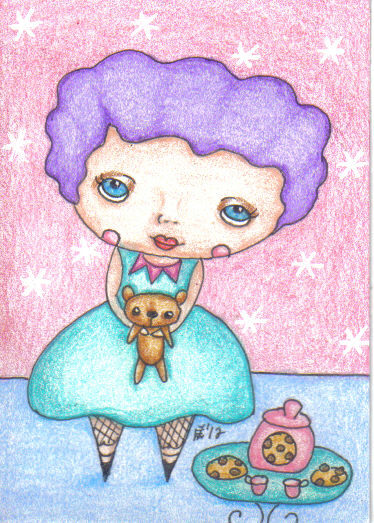 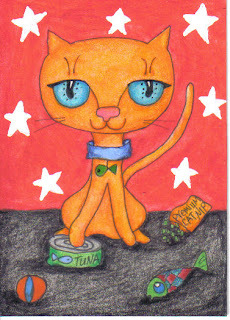 I had two Meow themed ATCs, but for some reason Meow I would not upload correctly, so this is Meow II only. 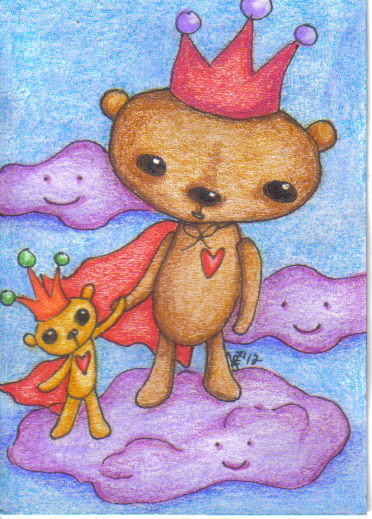 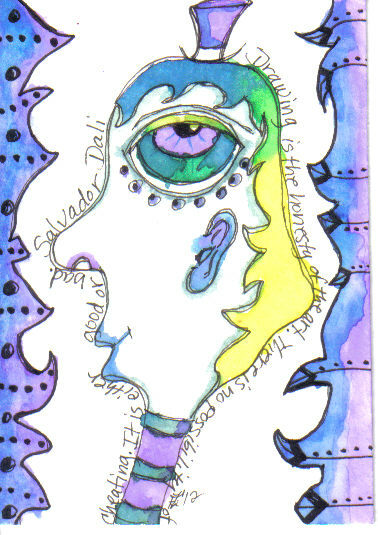 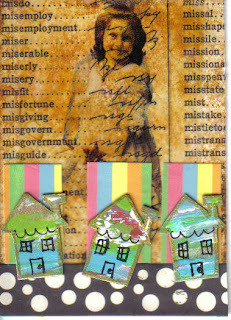 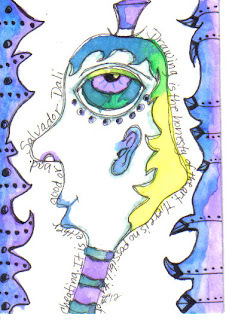 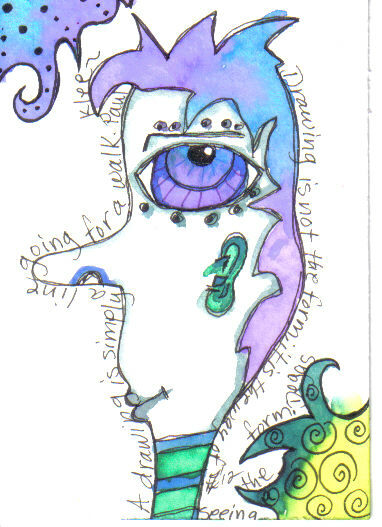 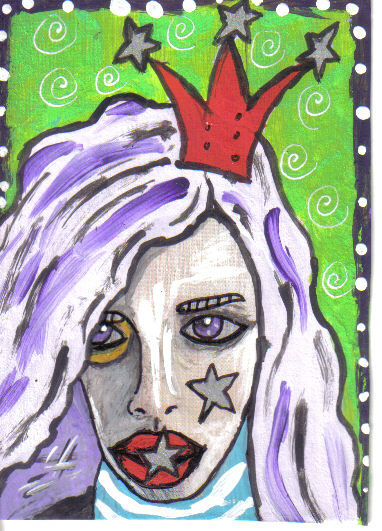 Note: My scanner washed out the colors in these ATCs...the colors are much more brighter in person.